Karl Marx, a German philosopher, economist and writer was the biggest supporter of communism and thus called the Father of Communism. His books and other writing work greatly reflect his biases towards communism and criticism towards capitalism. The article is a collection of some of the masterpieces created by Karl Marx. 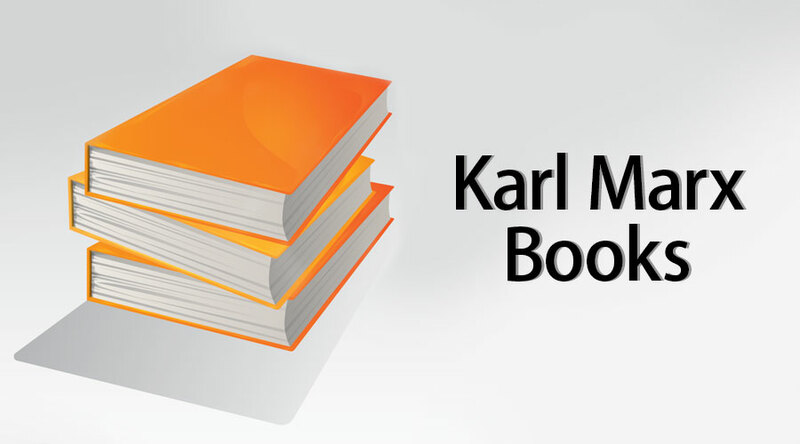 Add these Top books of Karl Marx in your reading list and learn about Marx’s theories on communism, capitalism, historical materialism, wage workers, alienation and much more. When relationships between government and citizens are no longer well-suited, a revolution happens and a new ruling class takes power. The major beneficiaries of movement from feudalism to capitalism were the urban middle-class people and rich peasants. Learn about the progression from capitalism to socialism and from socialism to communism. The book is another acclaimed work by Marx in which he closely analyzes the capitalist mode of production in England. England was the most advanced industrial society of his times and he all these times highly criticizes the capitalist methods. The book is a series of notes and essays written by Karl Marx during the period of 1844. These notes are basically an expression of Marx’s analysis of economics. The book covers a wide range of topics like communism, capitalism, private property, alienation and much more as Marx sees them but it could not be published during his lifetime. Marx argues that modern industrial societies isolated wage workers. Observe Marx’s analysis of economics. Marx says workers rely on labour work to gain money to be able to live, but actually, they are not living but just surviving. The subject matter of book includes concepts like production, distribution, etc. Observe these methodologies by Marx’s point of view. Get to know the reason behind his criticism against the capitalist model. Extracts from some of Marx’s well-known work. The reader gets the feeling of an unparalleled overview of Marx’s thoughts. Includes selected work from ‘The Communist Manifesto’ and ‘Capital’. The book is a collection of manuscripts written by Karl Marx and Freindrich Engels. However, their work belongs to the period of 1846 but since they were not able to find any publisher hence this work of them was first published in 1932. Marx and Engels clear their position on materialism, labours, production, alienation, etc. They visualize the course of true socialism based on dialects of Hangel. Marx criticized the views of various economic ideologists of his period like Bruno Bauer, Max Stirner. The book is an outstanding essay which is based on basic economic concepts but has deep Marx’s ideology. The book is considered as a precursor to his masterpiece named Das Kapital (Eng: Capital). Marx put aside his materialistic conceptions of history and starts showing scientific rationale on his ideas of alienated labour. Capitalism would eventually lead to the proletarian revolution. The book analyzes the economic model of capitalism and the quantity theory of money. Through this book, Marx criticizes the writings of the leading theoretical exponents of capitalism. Marx exposed the inherent contradictions of capitalism. He tries to attack free market capitalism. Marx was not working within the tradition of the great classical economists. The book is an essay that discusses the French coup o f1851 in which Louis Napoleon Bonaparte assumed dictatorial powers. The book shows Marx as a social and political historian. Marx treated actual historical events from the viewpoint of his materialist conception of history. Experience the dictatorship of Napoleon. The struggle of French people during the revolution period. Marx answers the economic and philosophical arguments made by French anarchist Pierre Joseph Proudhan set forth in his book ‘The System of Economic Contradictions’ and ‘The Philosophy of Poverty’. Marx rejects the ideas of Proudhan on consumption, tax and denial of strike actions. He also criticizes the philosophical arguments of Proudhan. The book deals with the concepts of Economics.